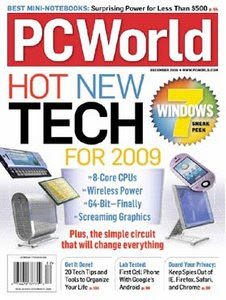 PC World is a global computer magazine published monthly by IDG. It offers advice on various aspects of PCs and related items, the Internet, and other personal-technology products and services. In each publication, PC world reviews and tests hardware and software products from a variety of manufacturers, as well as other technology related devices such as still and video cameras, audio devices and televisions.